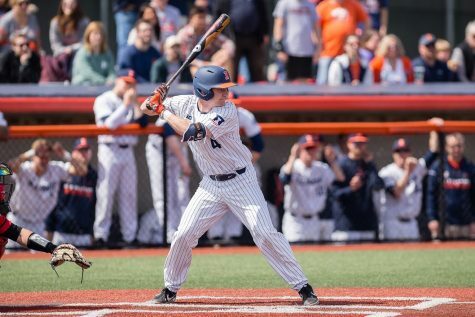 Illinois' Pat McInerney singles at Illinois Field on April 17, 2016. 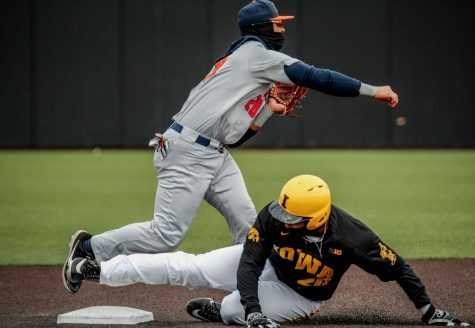 It was looking like Missouri Valley Conference teams were Illinois’ kryptonite as its scoring drought approached 13 innings against the league’s teams this week. First baseman Pat McInerney snapped the 12 1/3 inning scoring drought against two Missouri Valley clubs – Bradley and Indiana State – in the fourth inning at Illinois Field on Friday night. 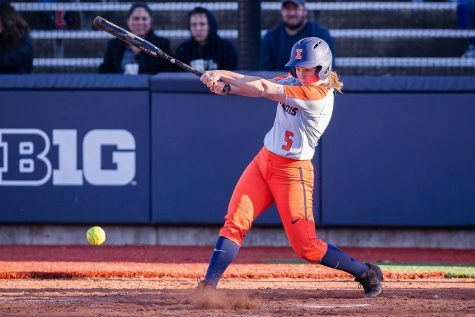 McInerney hit a one-out solo home run to left-center field versus the Sycamores. 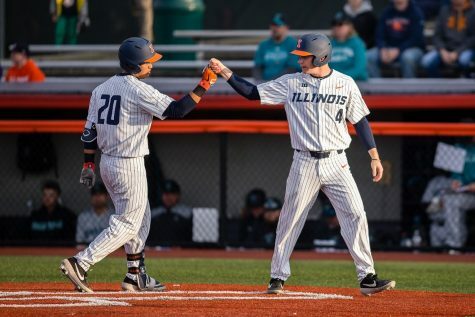 The senior’s Big Ten-leading ninth homer was the first hit for the Illini against pitcher Will Kincanon and the trigger for a five-run frame. 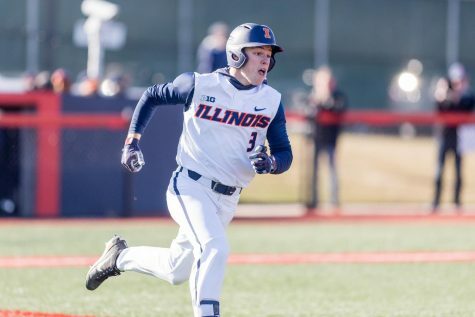 Right fielder Jack Yalowitz flied out before Illinois knocked four two-out hits, including freshman shortstop Ben Troike’s two-run triple. 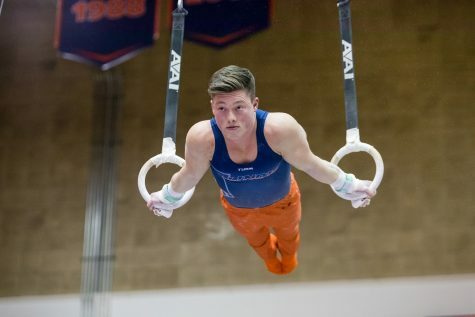 Troike’s triple helped the Illini secure their first lead in the past five games. 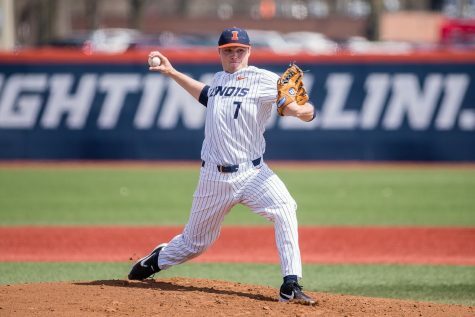 Illinois never looked back in the 6-4 victory over Indiana State to open the weekend series and snap a four-game losing streak. 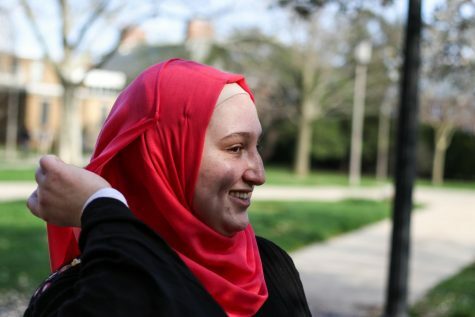 All five of Illinois’ hits Friday came in that fourth inning. Indiana State hit Illinois pitcher Cole Bellair hard between the second and fourth innings. Twelve of 13 Sycamores put the ball in play before the righty struck out Danny Camilo to end the fourth inning. 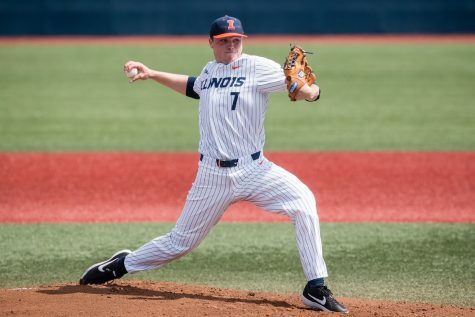 Bellair kept the Illini deficit to a minimum by not allowing too many early runs despite the balls in play. 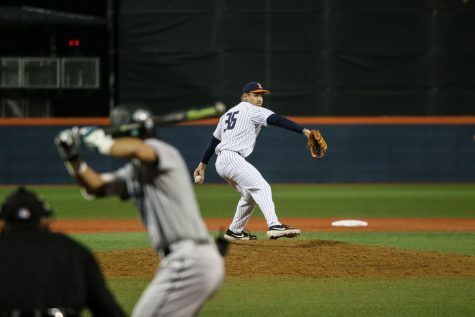 The sophomore gave up two runs and six hits while striking out six in six innings. The Sycamores struck first in the third inning on catcher David Craan’s throwing error. The sophomore attempted to throw out a stealing runner but overthrew the shortstop, allowing the runner on third to advance home. 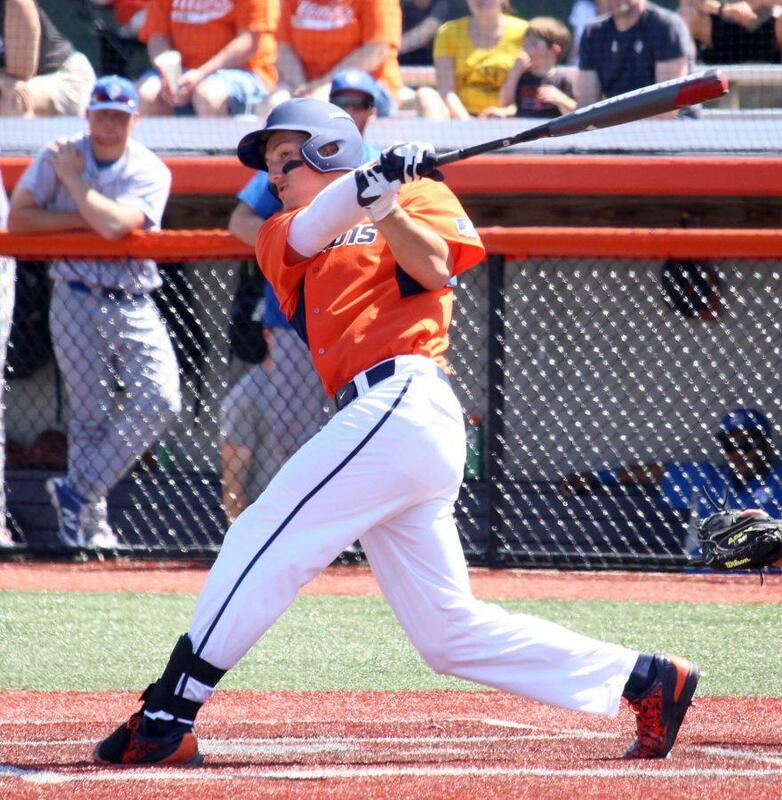 Indiana State added another with Tony Rosselli’s double. Indiana State cut the deficit to two runs in the seventh inning after an error by McInerney on the tail end of a 4-6-3 double play. It became a one-run game when Clay Dungan hit a solo home run off of Ryan Schmitt in the eighth inning. 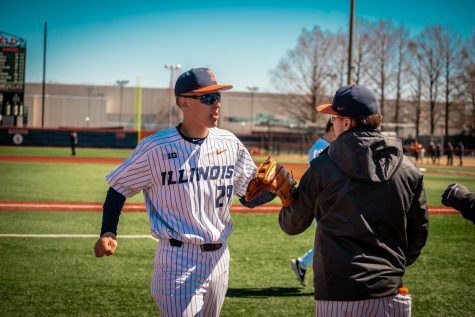 Illinois sophomore Joey Gerber made his team-leading 13th appearance this season in the ninth inning and earned the save. 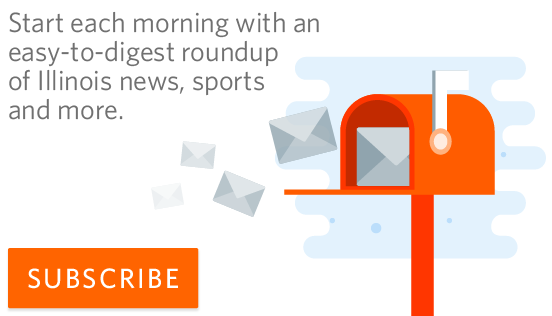 Rosselli came short of a cycle Friday night. He had a single, double and triple in his first three at-bats. 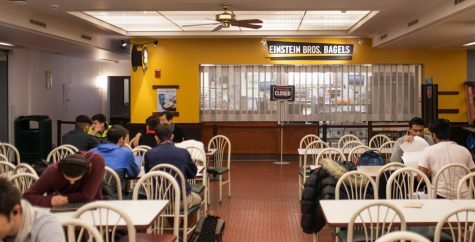 He finished the night 3-for-4. Yalowitz went 0-for-3 with a walk in his return from a two-game absence. 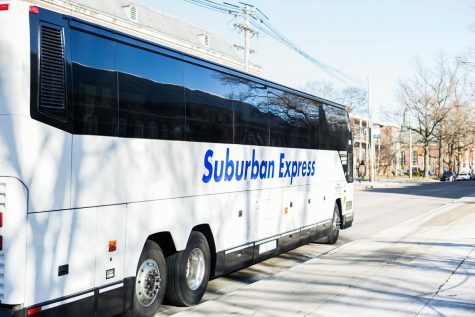 The sophomore crashed into the left-field wall last Friday in the second game of a doubleheader against Michigan State and underwent concussion protocol. Hartleb had Yalowitz bat in the four-hole instead of his typical leadoff spot. 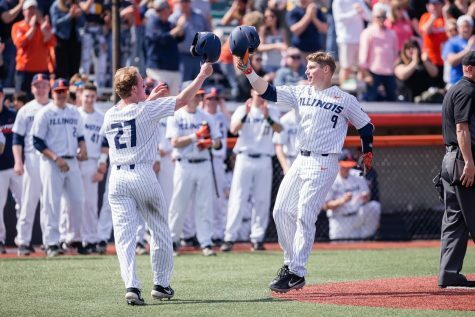 Illinois and Indiana State will continue their third-ever three-game series Saturday afternoon. 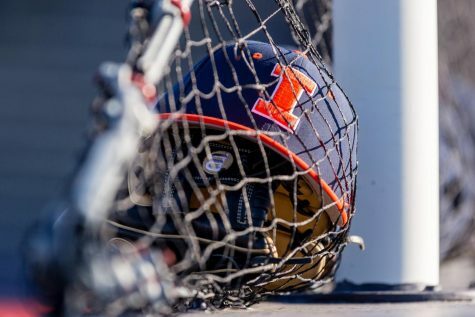 The Illini are now 3-7 on their current 12-game homestand.